Oldham Labour Council have been debating a motion on adopting a modern slavery policy at their Council meeting on 28/03/2018. 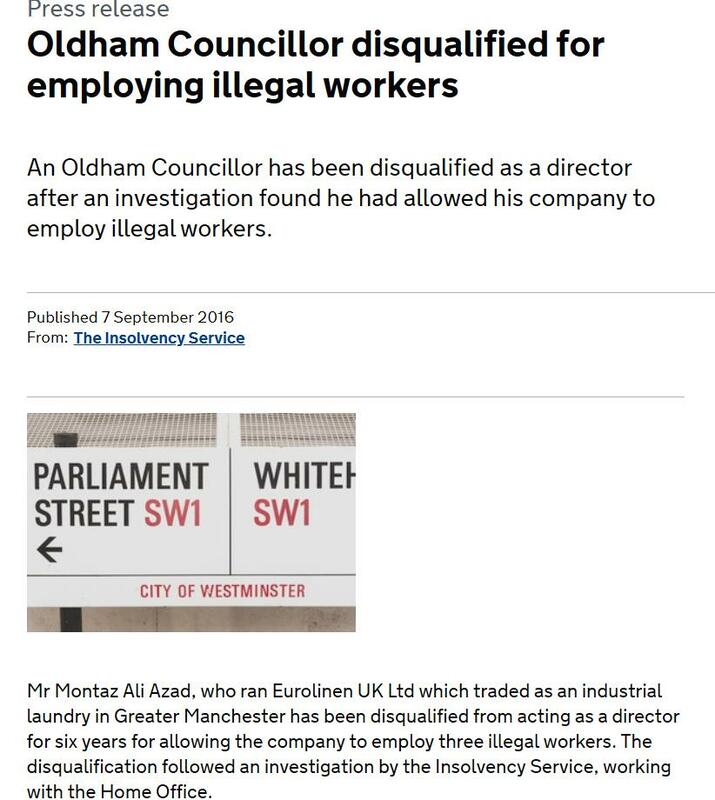 Now this would be admirable had it not been that one of their own Labour Councillors Montaz Ali Azad was struck off as a company director in 2016 for exploiting illegal workers yet he still remains a Labour councillor today. Although these Labour party hypocrites did not have the legal right to have him disqualified as a Councillor they did have the right to expel him from the party which they chose not to do.